These questions cover the entire scope of MONSTERVILLE: A LISSA BLACK PRODUCTION. Feel free to choose those that would facilitate the liveliest discussion! (And note that there are spoilers here). For reading questions that are focused on specific chapters, click here. In part, MONSTERVILLE is a “fish out of water” story because of Lissa’s trouble with adapting to life in the country. How does Adam help Lissa adapt to Freeburg, and at what point in time does Lissa begin to accept that there are good things about living in the country? Blue is part monster, part child. What are some actions he engages in that shows his “monster” side? What about his “child” side? Would you say Blue is more monster, or more child? 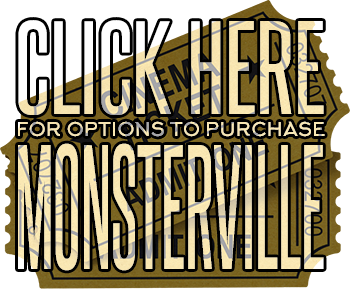 In MONSTERVILLE, the monsters only take kids with certain personalities. What kind of personalities are those, and why does it make sense that Haylie is taken? (What are examples of Haylie’s actions that show she has the type of personality the monsters find attractive?). Who is your favorite MONSTERVILLE character and why? Who is your least favorite MONSTERVILLE character and why? In MONSTERVILLE, Lissa sees her world through the lens of a camera. How does that make her viewpoint different? What are some examples from the book where Lissa is thinking about how a scene in front of her would unfold in the movies? (Hint – you can use the film glossary in the back of the book for this one). While Down Below, which “monster habitat” is the most difficult for Lissa and her friends to escape? Why? Which “monster habitat” do you find the scariest? Do Lissa and her friends make any mistakes while Down Below that you wouldn’t have made? In MONSTERVILLE, when does Lissa realize she likes Adam back? What about Adam is so special? How did the monsters distract the kids in the Transformation Room up until daylight? What do you imagine the Transformation Room looks like inside?